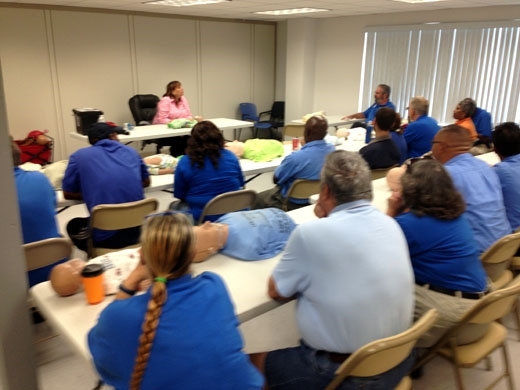 Space Coast Life Saverz provides CPR, AED and First Aid Training courses at your facility or our training center. 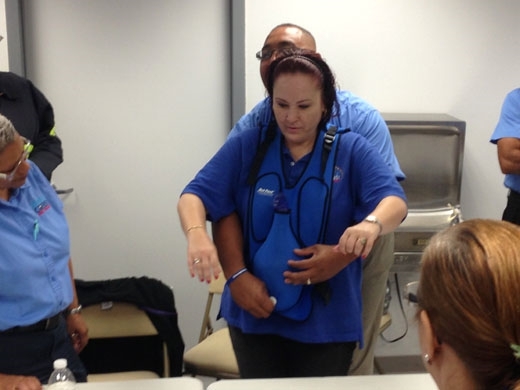 Our goal is to provide every individual the skills needed to handle emergencies effectively. 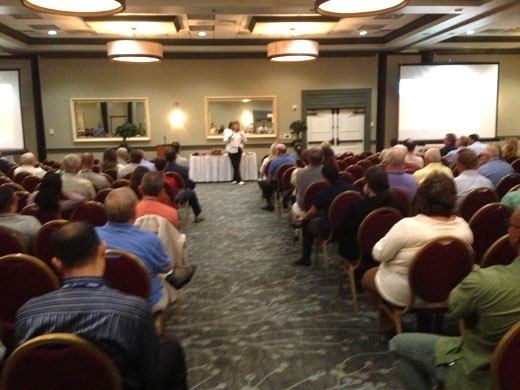 Call (321) 480-4419 or email acarlsen@lifesaverzcpr.com for more info. Can you handle an emergency? It can happen anywhere, when you least expected! Be prepared. 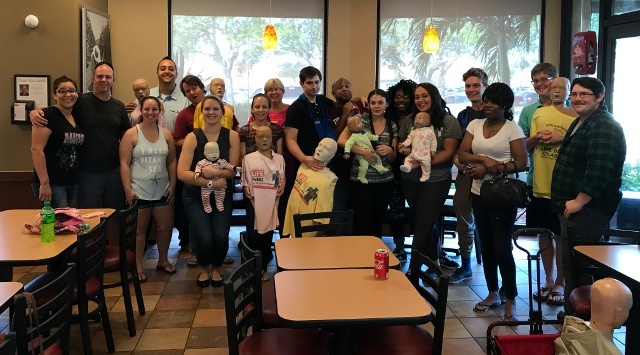 Recent CPR training for Chick-fil-A employees at their facility. 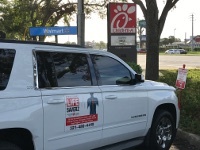 Are your employees ready for an emergency at your store or facility? 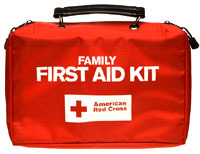 Do you know how to use this kit? 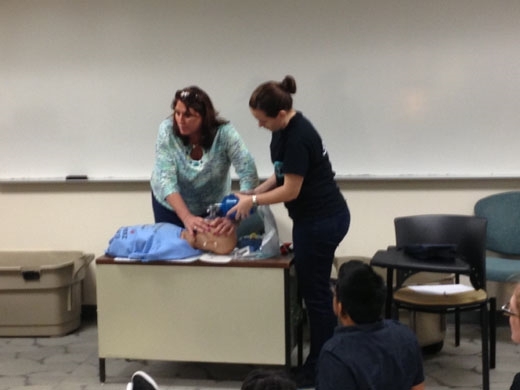 Fees for classes do not represent income for the American Heart Association. 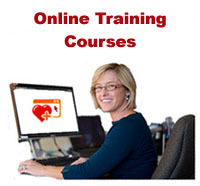 We are now offering the following online AHA courses:. 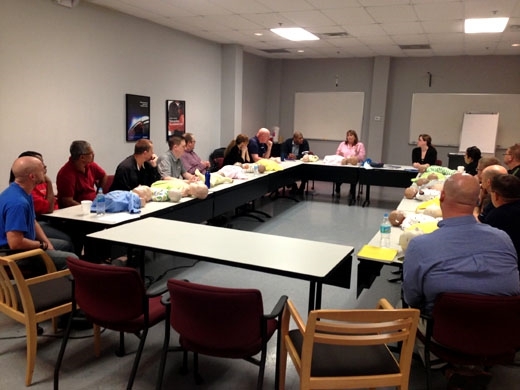 Our well equiped training center is more convenient, has better parking and is large enough for bigger groups.We can accommodate up to 20 people, perfect for corporate or large organization training needs. 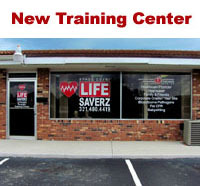 Stop by and see the new training facility. 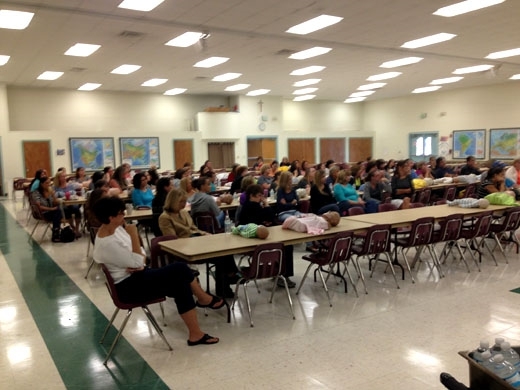 When our students leave, they will have a very clear understanding on what to do in an emergency situation. Class length varies depending on size of class. 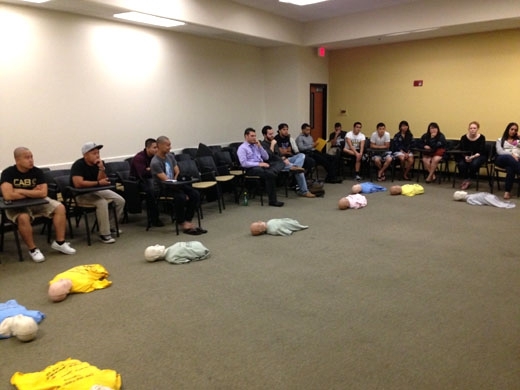 We offer both Certified and Non Certified classes. 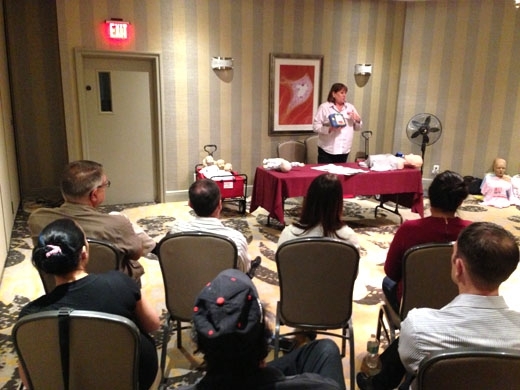 Courses are designed for Health Care Providers, Lay Rescuers and the General Public. 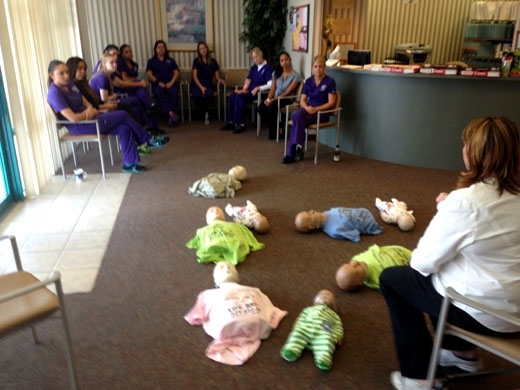 They will help increase safety awareness and can prevent an accident from becoming a fatal accidents. 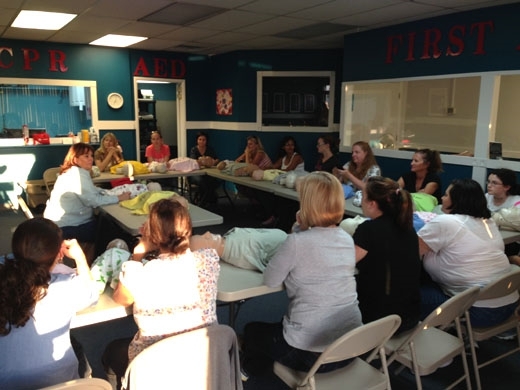 This course covers CPR for the Adult, Child and Infant, including the use of an AED and also covers Adult, Child and Infant Choking. 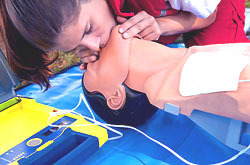 This course covers Basic First Aid for indoor and outdoor emergency situations such as: Heat Exhaustion, Burns, Shock, Stroke, Poisoning, Bites, Broken Bones, Diabetes, Use of EpiPen. This course complys with OSHA guidelines. 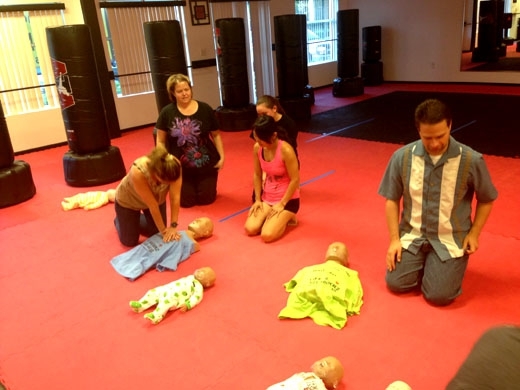 If you have 5 or more people that are interested in a class, please contact us via email at acarlsen@lifesaverzcpr.com with the following information: name, location, number of participants, class needed, and dates/deadlines. 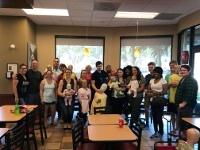 Depending on the group size, we can have an instructor come to you or we can arrange for you to attend one of our scheduled classes at our location. Check with us before you buy an Automated External Defibrillator.